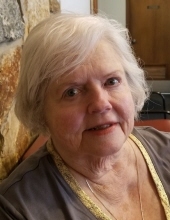 Lane, Audrey Maurine - Age 76, of Swartz Creek, formerly of Ft. Valley, Georgia, died November 26, 2018. Services will be held 4 PM Monday, December 3 at Sharp Funeral Home and Cremation Center, 6063 Fenton Road, Flint. Visitation will be 3 PM until the time of service Monday. Interment will be in Oaklawn Cemetery, Ft. Valley, GA. Those desiring may make contributions to the Christian Appalachian Project. Audrey was born August 29, 1942 in Miami, Florida, the daughter of William Penn Perry and Audrey Pauline (Slaughter) Perry. Audrey worked as a LPN at the Ft. Valley Nursing Home for 13 years. Surviving are: five children, Steven Robby Lane (Connie Ferris Lane), William Travis Lane (Kathy Peacock Lane), Cameron Ray Lane, Christian Paul Lane, Jeremy David Lane; two grandchildren, Steven David Lane, Andrew Lane; brother Willie Perry. She was preceded in death by her parents; husband Bobby Ray Lane on September 22, 2000; and sister Roberta Perry. To send flowers or a remembrance gift to the family of Audrey Maurine Lane, please visit our Tribute Store. "Email Address" would like to share the life celebration of Audrey Maurine Lane. Click on the "link" to go to share a favorite memory or leave a condolence message for the family.